The last decade has seen progressive and positive developments in e-bus technology, led mainly by China, closely followed by Europe and the USA. 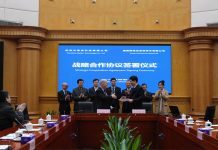 The successful deployment of the first full battery e-buses during the Olympic Games in Beijing in 2008, followed by the launch of a 12m full-battery electric bus with a range of 250-300 km in 2010, opened up the e-bus market for Chinese manufacturers. American and European bus manufactures rapidly developed their own e-bus models, which were initially tested in small-scale pilots of one or two vehicles. Subsequently, the operations matured into larger schemes and shifted entire bus lines from ICEs to electrical power. In recent years, cities including London, Nottingham, Eindhoven, Amsterdam, Paris and Warsaw have placed larger orders for e-buses. Other cities are expected to follow, heralding a ramp-up in production to address the increasing demand. 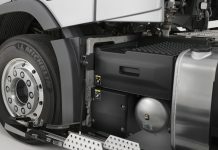 At the same time, the high number of products launches by e-bus manufacturers, and the appearance of new manufacturers, are indicative of the increasing level of competition within the sector. 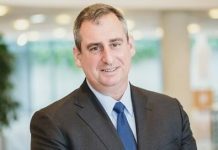 Public transport operators are beginning to focus more on the long-term than the upfront costs, thanks to funding backup from governments and venture capitalists. With China, the USA and Europe as frontrunners, many other pioneering countries are joining the transition to the electrification of the bus systems. The global sales for e-buses are expected to grow at a rate of 33.5% annually for the period 2017- 2025, reaching an estimated volume of 33,854 units by 2020. According to the IEA Report – Global EV Outlook 2017 the global battery-powered electric bus stock grew to approximately 345,000 units in 2016 (an increase of 100% over 2015), with China emerging as global leader. The stock of electric vehicles in China reached 343,500 units in 2016, including around 300,000 battery- electric vehicles. The production volume of New Energy Buses (the Chinese policy term referring to battery electric, hybrid plug-in electric and fuel cell electric buses) reached 135,305 units in 2016. The main New Energy Bus manufactures include BYD, FOTON, Nanjing Golden Dragon Bus, Yinlong, Zhengzhou Yutong and Zhongtong Bus. Total estimated electric bus stock reached 1,273 units in 2016 (an increase of 100% over 2015), while the United States accounted for 200 units. The increase in European stock suggests that the European market is moving beyond the demonstration phase into commercial development. 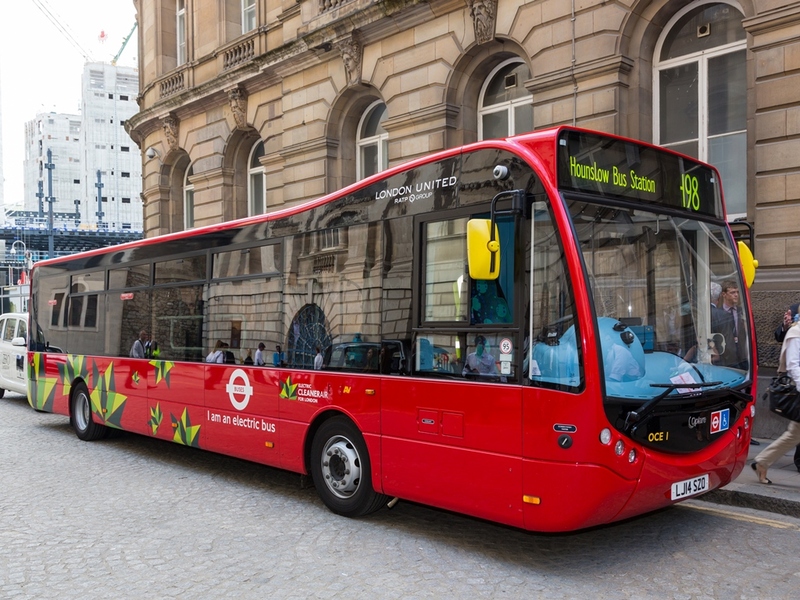 Optare MetroCity single-deck electric buses to establish whether the technology could endure the rigours of operating in an intense urban environment such as London. 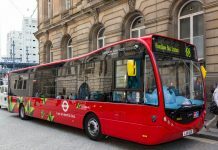 Immediately following the trial, in 2016, TfL announced they would introduce five fully-electric double-decker buses on Route 98, which passes though a well-known pollution hotspot. 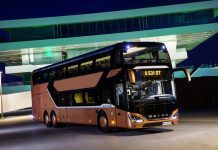 Additionally, a large fleet of battery e-buses has been developed through a successful cooperation between BYD, which provided electric technology, and Alexander Dennis, which provided the bus body. This collaboration has seen more than 50 e-buses already in operation, with more are coming soon, including double-deckers. Another example is the Paris transport operator, and partner of the ZeEUS project, RATP. It launched its first electric bus line in 2016. RATP is now preparing to broaden the electrification of the bus lines, with plans toreplace 80% of its existing fleet (about 4,000 buses) with e-buses by 2025. The e-bus manufacturer Proterra doubled its sales in 2016; however overall sales remain modest, with 380 e-buses sold since the company’s foundation in 2004. 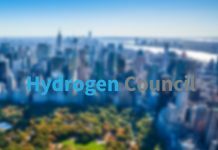 The electrification of the mass transit fleets is steadily progressing, particularly on the west coast, with increasing numbers of transit agencies announcing new purchases of electric buses with the goal of achieving full-electric fleets in the near future. In addition, Chinese competitor BYD has entered the US market with some success. BYD delivered its first 18-m fully-electric bus earlier in 2017, the first of 13 e-buses it will deliver to Antelope Valley Transit Authority (AVTA) in Los Angeles County, as part of AVTA’s award-winning campaign to fully electrify its fleet by 2018. China is one of the few developing economies worldwide that has taken initiatives to curb air pollution by introducing electric buses. Growth in the electric bus market remains strong and the charging infrastructure is developing dynamically, supported by favourable subsidies from central government. In 2016, forexample, the Chinese Ministry of Transport provided manufacturers of new energy buses with subsidies and tax benefits as well as grants of $81,600 per electric bus purchase. This has stimulated growth in new energy vehicles 16, particularly in bus fleets. According to the Chinese Ministry of Transport the number of sold in 2016 of e-buses exceeded 160,000 units. In the same period, the number of e-vehicles dedicated to urban logistics reached 94,000 units and taxis more than 18,000 units. Following this growth phase, the central government has now reduced subsidies for purchasing electric buses by 20% and the subsidy will be reduced further year-on-year until 2020. 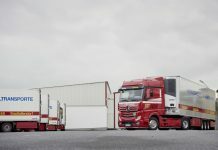 The national annual sales of new energy buses by 2020 is expected to reach 200,000 units, while the fleet of urban logistics vehicles and taxis should reach 100,000 units. for electric cars consists of 2,365 fast-charging points and 19,232 slow-charging points. By 2020, Shenzhen City is expected to have 8,246 fast-charging points for e-buses, capable of charging between 16,500 and 24,738 pure electric buses. Shenzhen Bus Group Co. Ltd. is one of the three major bus operators in Shenzhen. In June 2017, it achieved the full electrification of its fleet and currently operates 5,698 pure electric buses on 364 lines. Regarding the automobile sector, the China Association of Automobile Manufacturers (CAAM) forecasts that China’s low-emissions vehicle sales will hit 800,000 in 2017. Of these, passenger vehicles account for approximately 70%, up from 65% last year. Based on these figures, new-energy commercial vehicle sales volume are likely to reach 240,000 in 2017, including up to 190,000 new-energy buses. In view of bus market growth from urbanisation as well as increased penetration in the highway bus market following technology maturation and cost reductions, China’s new-energy bus sales volume is predicted to exceed 250,000 units by 2020. Led by China, the Asia-Pacific region accounted for the greatest number of shipments in the global e-bus market in 2016. The Chinese e-bus market is expected to continue to grow significantly in the coming years as a consequence of increasing urbanisation and development of several newly-built advanced public transport systems in its smart cities. The demand for wirelessly-charged buses, globally speaking, is relatively slow. operations, first in Gumi City on a 24km route with 500m of power supply lane then later in Sejong City. However, the current state of these projects is unknown. The Land Transport Authority of Singapore initiated a trial on three bus routes using a BEV (model BYD K9) operated by Go-Ahead Singapore to assess the suitability of e-buses for public transport. 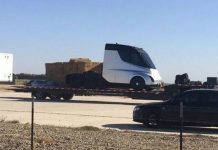 The pilot, which ran from November 2016 to May 2017, could lead to the introduction of further e-buses into the region’s public transport system. 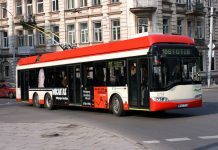 conditions are planned to continue.21 In Belarus, the Minsktrans public transport operator has confirmed an order for charging stations and e-buses, in accordance with their 2017 plan. 300 e-buses by the end of 2017. 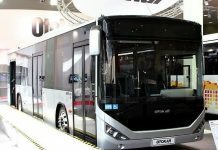 Mostransavto, the transport operator of the Moscow region, announced the development of trials of the KAMAZ trolleybus in Odintsovo. 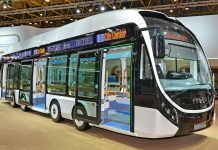 Further tests are planned with the new Trolza-5265 trolleybus model with dynamic charging. In the Moscow region, trolleybuses operate in the cities of Khimki, Vidnoye and Podolsk. the route is performed with power from the overhead network. production overseas. Despite the limited number of electric vehicles deployed in public transport, Turkish cities are progressively adopting the new technology. The Turkish manufacturing sector is also developing. 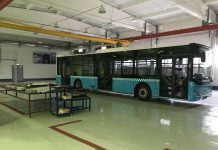 The first 100% Turkish e-bus, the E-Karat, manufactured by Bozankaya, was launched at the IAA Hannover Fair in 2014 and began carrying passengers in Konya and Eskisehir in 2016. An agreement between two Turkish companies to produce a further 900 new E-Karat e-buses in the province of Bursa has been announced. 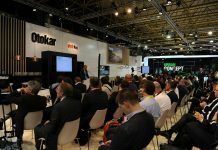 Meanwhile, as well as Bozankaya, the manufacturer Otokar has also developed its electric bus offerings. The e-bus market in India is still at a nascent stage, although the strong push from the national government to promote electric mobility is beginning to deliver results. A few hybrid and biogas buses are in operation and most of the cities are currently conducting pilots for electric buses. 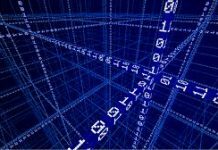 However, to date there are no examples of commercial operation. Pilots took place in Bangalore (2014) and Delhi (2016) to demonstrate electric bus technology. Having testlaunched India’s first electric bus in February 2014 with a vehicle imported from a Chinese company, the Bangalore Metropolitan Transport Corporation (BMTC) has announced that it intends to purchase 150 electric buses by the end of September 2017. With this, Bangalore is likely to be the first city in India to launch bus transport operations with such a sizeable fleet of electric buses. The Indian government initiated the ‘Faster Adoption and Manufacturing of Hybrid and Electric Vehicles’ (FAME) scheme to promote the adoption of electric buses. The focus areas for the FAME scheme are fiscal and tax subsidies, purchase of electric (and hybrid) vehicles, e-bus city trials and development of infrastructure. Other operators have also initiated procurement actions to set up their e-bus fleets. For example, supported by the FAME scheme, Navi Mumbai Municipal Transport has acquired five Volvo 8400 hybrid buses. In addition, the Mumbai Metropolitan Region Development Authority has procured 25 Tata Starbus Diesel Series hybrid electric buses. BEST Mumbai received funding to retro-fit six buses with AV Motors and procure an additional six 30-seater electric buses with a range of 210 km from Impact Automotive Solutions Limited (a subsidiary of KPIT), supported by a grant from the Brihanmumbai Municipal Corporation. In addition, the corporation has placed an order with BYD-Goldstone to set up the buses as feeder services to the train and metro stations. Finally, Thane Municipal Transport has approved a plan to introduce 100 e-buses using a Public-Private Partnership model. The private operator will purchase and operate these buses for 10 years on selected routes. with SUN Mobility to develop a battery-swapping system for e-buses in an initial step for intra- city buses. Tata Motors, another Indian company, completed its first commercial pilot of an electric bus in April 2017. JBM Solaris, the joint venture between JBM Auto and the Solaris Bus & Coach SA, is planning to manufacture India’s first 100% electric buses, called Ecolife. This e-bus was unveiled at the 13th Auto Expo Show in February 2016. Production will commence in 2017 at Kosi, Uttar Pradesh. platform. 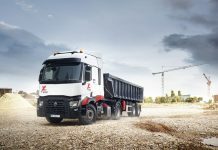 A number of manufacturers, including Tata Motors, BYD and TVS, are also contributing to the initiative. The pilot project also includes installation of over 50 charging stations across the city to support the pilot.